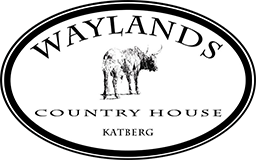 Waylands Country House is a four-star lodge on a historic farm and National Heritage Site in the Winterberg Mountains of the Eastern Cape Province. Romantic elegance and unparalleled luxury. This intimate gourmet getaway places emphasis on fine country cuisine, roaring log fires, privacy and tranquility in our very own exclusive mountain paradise. WAYLANDS is a 1100ha estate that has been in the family for over 175 years and is situated close to malaria-free Mpofu Game Reserve. The Eastern Cape is fast becoming the African Safari destination of choice. 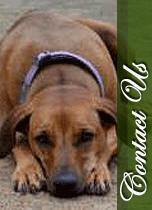 The Post Retief area boasts 5 national monuments less than 10km distance from Waylands. 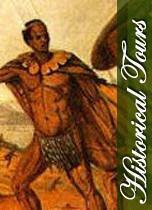 The area is extremely rich in history playing an active role in the legendary Frontier Wars. The luxurious Art Nouveau Manor House has been totally restored to its former glory. 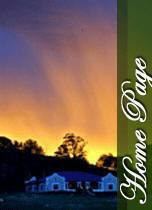 It is now dedicated to luxury Country House Accommodation and its unspoiled beauty is testimony to a more gracious age. Our limited capacity ensures guests privacy, indulgent comfort and attentive yet discrete service. Waylands Country House is set in beautiful established gardens and is graciously furnished with the owner’s extensive collection of antiques, memorabilia and art. WAYLANDS has numerous remarkable buildings & history, offers trout fishing, hiking in pristine nature, ancient San rock art and an extravagant swimming pool. Gourmet cuisine, breathtaking mountain vistas, spellbinding starry nights, snow-capped winters and fiery African sunsets. Rates include a three course dinner, a substantial breakfast and sumptuous tea served in the late afternoon. 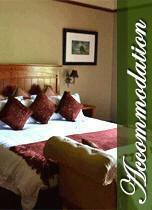 Welcome to your special escape in the Eastern Cape Mountains.